Should I go to University & How Can I Get in? An excellent resource here looking at issues of transition to university. 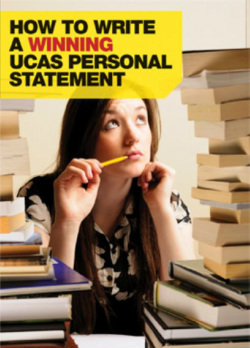 Page 20 onwards contains advice on choosing a course, writing a personal study and selecting a university. There are also case studies of students who have transitioned to university, comparing their initial ideas and their experiences one year on. You really must read this!! Exam pressures have been multiplied this year by increased competition for university places. The fear of not getting the right grades is rational – without them, you won't make it onto the course of your choice. But aside from studying hard, university admissions advisors say there is a range of things that can help make your application to university successful. * First and foremost, you must demonstrate a commitment and passion for the subject you want to study – by reading and researching beyond the examination syllabus and making connections between your field and other interesting avenues of investigation. What's in the news is a good place to start, and can provide material for an extended project. * Work experience can also impress the selectors, but it must, if possible, be relevant to your subject or career. * Then you have to target your application form at the right course and the right institutions. Happily, the information available is becoming better all the time. 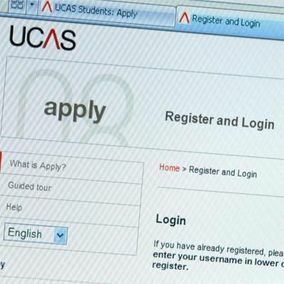 If in doubt, university admissions experts say someone wondering whether or how to apply should feel no hesitation in picking up the phone and calling a university admissions department: there's nothing better than direct contact, especially if your qualifications are not just standard A-levels. Are you thinking of applying to study at Oxford or Cambridge? Great news. The guides on the right aim to give you a flavor of what to expect and how to prepare. They all come from past students. Personal questions are generally to put you at ease and don’t form a great part of the selection process. That said, if you play an instrument for example, make the most of it – it shows discipline etc. What was the most interesting historical book you have read recently and why? How important is the telling of a national narrative in History? Is history only of any importance if it is relevant? Why do you think it is important to study X period? What history should we teach in schools and why? Is there such a thing as race?